Luke Keary is battling to overcome concussion symptoms. 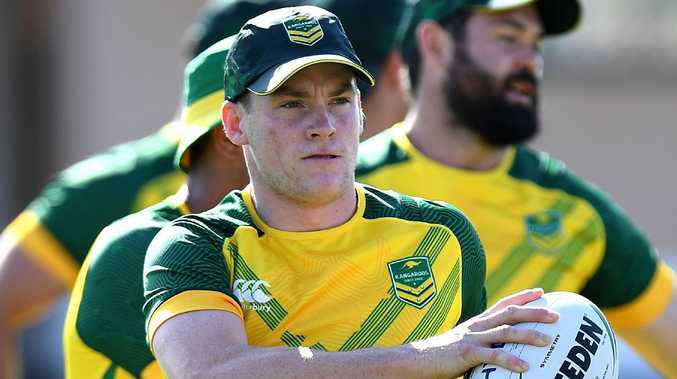 KANGAROOS coach Mal Meninga has named an unchanged side for Australia's clash with Tonga at Mt Smart Stadium. Luke Keary has been retained at five-eighth, despite having his debut against New Zealand cut short by concussion. Tyrone Peachey is on standby should Keary fail to recover in time to take his place next to Daly Cherry-Evans in the halves. Meninga resisted the temptation to make changes, after the Kangaroos were outplayed in a 24-26 loss to the Kiwis. The scoreline against New Zealand flattered Australia, but Meninga stuck by his comments post match that he would not look to make changes. It will be up to the 17 men that run out in front of a packed Stadium on Saturday, to repay their coaches faith and help the Kangaroos avoid consecutive defeats for the first time since 2015.